I am a child of the 1960s really. I was into The Beatles, I had granny glasses and a fringed jacket and could tell you anything about the space race. I remember when man first landed on the Moon. It was middle of the night in the UK and I was not allowed to watch it live, one of the greatest events in the history of humanity, spoilt by my parents under threat of punishment. There are many shameful things about this world. One is that people do not remember the names of the astronauts who walked on the Moon. Another is that we no longer have the technology to get us there, this 50 years after the main event. Of course, as soon as Apollo 11/Eagle landed, people began to complain it was too expensive, a waste of money. Money that could be spent on wars. Three missions were cancelled. Scientific enquiry counts for nothing. Neil Armstrong was the first man to walk on our satellite. As such, he must go down as one of the most famous men in history. But let’s not forget the courage, skill and achievements of the others who went to the Moon though. Why was Armstrong chosen? I think, for two reasons, one his incredible skill, the other, his ability to cope under pressure. During the flight and afterwards. For the rest of his life he was bugged by people wanting to meet him, ask questions, have a little piece of his life. In the end, for Armstrong, it got too much. He hated it, and became a recluse. By the time the excellent documentary In The Shadow Of The Moon was made, he refused to participate. He wanted a quiet life. And, of course, in 2012 he died. There have been feature films about space, especially Apollo 13. There have been documentaries. Now there is a new one coming up, First Man. Trailers indicate it is to be released in IMAX. It centres on Armstrong. Presumably the climax will be the trip to the Moon. Watching space footage on a big screen is as close as most of us will ever get. I hope their cgi footage is correct, and watchable. I am worried. These types of ‘biography’ take liberties with the facts, for no reason. I am hoping Mr Armstrong will not be portrayed as some kind of swashbuckling space pioneer, just a guy doing his job exceptionally well. If they alter the facts to keep it ‘interesting’, that will be depressing. I was a child of the 60s. I loved the music and especially I loved the journey into space. I could tell you anything about it, even the names of the first seven astronauts: Alan Shepard, Gus Grissom, Gordon Cooper, Wally Schirra, Deke Slayton, John Glenn, Scott Carpenter. History records that Shepard was the first American in space, and he was one of the lucky ones to walk on the Moon. Glenn was the face of space for the USA. He was the first American to orbit the Earth, and the oldest person in space. Grissom died in the Apollo 1 fire in 1967. And so on, you can look them up. The next group included Jim Lovell, Neil Armstrong and John Young. Of all these mentioned here by name, Lovell is still alive, and many more of the ‘original’ astronauts are on the go, such as Buzz Aldrin and Dave Scott. Of the twelve who walked on the Moon, four are still alive, Aldrin, Charlie Duke, Scott and Harrison Schmitt. And while we all remember Apollo 11, and 13 probably, how many remember Apollo 12? Pete Conrad and Alan Bean walked on the Moon. They were more productive, more confident. The pressure was off somewhat. In later life, Al Bean took up painting. He appeared in documentaries about space, including In The Shadow Of The Moon, a must see if you are interested in space. It was announced yesterday that Mr Bean had died after a short and sudden illness. 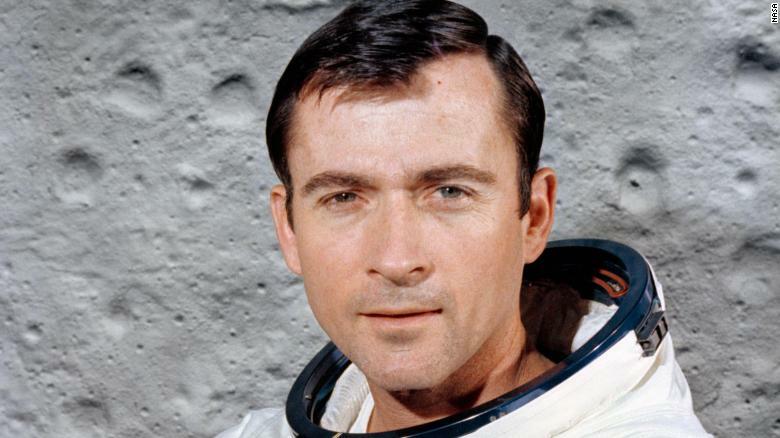 This follows Gene Cernan and John Young, both of whom died recently. It is sad to think that if America wanted to go to the Moon this year, they couldn’t do it. The technology and the know-how no longer exists. I was born in 1954 and my formative years were in the 1960s. I always find it hard to explain to people what it was like then, but it was an exciting time, a time for change and advancement. My big interest was space, and I am sure I just about remember Sputnik. I definitely remember coming home from school and my mum telling me about Yuri Gagarin, an under-sung hero in the history of the world. I knew all about the America astronauts, all the missions and craft, and I followed it carefully. JFK made a commitment to landing a man on the Moon before the decade was out, and returning him safely to Earth. If he had said that now, he would have been all over the press for excluding women. Most people’s “favourite” astronaut was probably John Glenn. The most famous, possibly one of the most famous people who have ever lived, was Neil Armstrong. There are very few of the originals still alive. Glenn died recently and my favourite, John Young died the other day at a good age. If you can catch the wonderful film In The Shadow Of The Moon, Young’s contribution shows that he was still as enthusiastic as ever about space, always looking to the future. He would be sad, I am sure, that we no longer have the capability to go to the Moon.